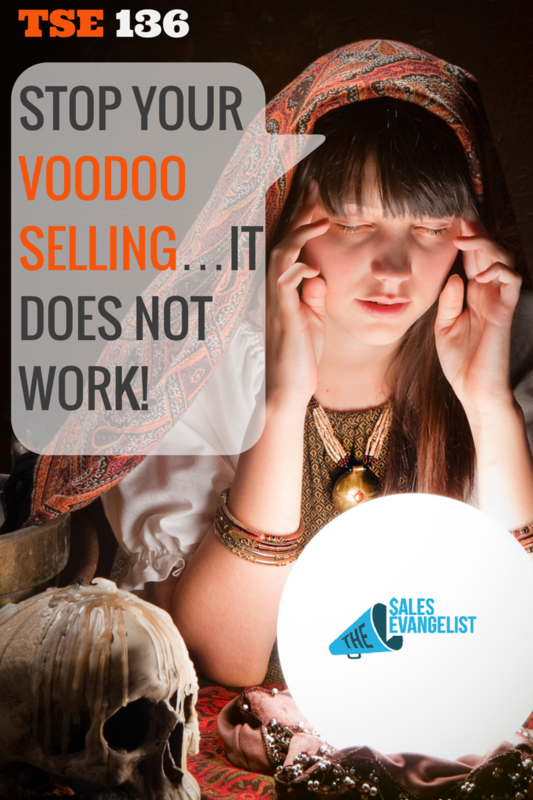 TSE 136: Stop Your Voodoo Selling…It Does Not Work! Home » TSE Podcast Post Page » TSE 136: Stop Your Voodoo Selling…It Does Not Work! Are you a voodoo seller? Are you relying on crystal balls, bones and feathers, and teabags to know whether you would hit this month’s goals or not? Well, been there and done that and I’m telling you, “voodoo selling” just doesn’t work because you can’t quantify it. 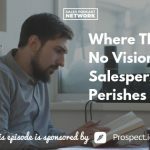 In today’s episode, I am talking with Robert Harper and together we will shed light on the repercussions of voodoo selling and what you can do to ultimately be HIGHLY effective in sales. I have talked about this over and over, and again, PROCESS is key. Rather, GREAT PROCESS is key. More about my special guest: Robert is a serial entrepreneur who currently owns five companies, four of them are in the midwest that do B2B integration, like access controls and CCTV, making buildings safe and comfortable. His other business endeavor is a virtual company that provides virtual solutions to business owners. Selling based on guessing and hope rather than on planning, implementing strategies, or using metrics. Salespeople and entrepreneurs are creative thinkers. It makes us less interested in the process of selling and thinking of sales as a science since we tend to think of it as more of an art. Sell to somebody who can say no. If they say no, do it as quickly as possible so you stop wasting time. Break the theory and move on to the next. Determine your budget on how much you’re going to sell. Instead of targeting “X” amount of dollars a quarter, target how many phone calls or meetings it would take you to make that dollar amount. How many phone calls you make? How many of those phone calls will get you a meeting? How many of those meetings will get you a proposal? How many of those proposals will get you a sale? Tracking your information allows you to introduce a change into your process and see how it affects those numbers. Split testing every appointment, so you’re changing everyday. You will never find a system that’s going to function for you if you’re doing it this way. Have the process for the actual sale itself. Analytics and a great process are keys. *Robert will make a master copy of this and put it on his website for you to grab and utilize the template. Don’t talk about the numbers. Don’t judge people based on how many phone calls they’re making. Otherwise, your people will lie on those forms. The numbers are for them and not for you to judge them. Check out Robert’s blog post about voodoo selling plus a link to the template they use to track statistics for their sales staff. Don’t ever be afraid to ask every prospect if they have the ability and if they are willing to say no if this isn’t a good fit for their company. But, if it is a good fit, are they able to say yes?